Staten Island is known as New York City's reddest borough and went to Donald Trump in 2016. When I met Garth Powell, he was standing outside a polling site in Staten Island with a sign that simply said, "MAX ROSE FOR CONGRESS." 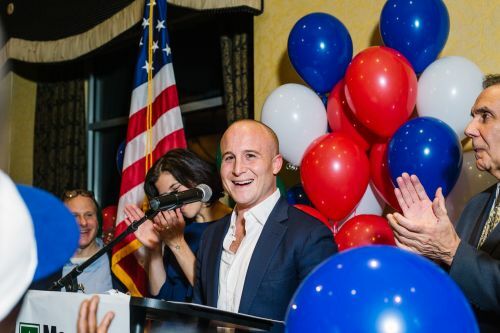 Congressional candidate Max Rose , a Democrat, defeated Republican incumbent Dan Donovan in a district that includes Staten Island and part of Brooklyn.